Washington - Attorney General Loretta Lynch intends to accept whatever recommendation career prosecutors and federal agents make in the investigation into Hillary Clinton’s use of a private email server, a Justice Department official said Friday. “The Attorney General expects to receive and accept the determinations and findings of the Department’s career prosecutors and investigators, as well as the FBI Director,” the official said, speaking on condition of anonymity because of the ongoing probe. This revelation comes amid a controversy surrounding an impromptu private discussion that Lynch had aboard her plane on the tarmac at a Phoenix airport on Monday with Clinton’s husband, former President Bill Clinton. That get-together has been criticized as inappropriate by Republicans and some Democrats at a time when the Justice Department has been investigating whether classified information was mishandled through Clinton’s exclusive use of a private email server while she was secretary of state. 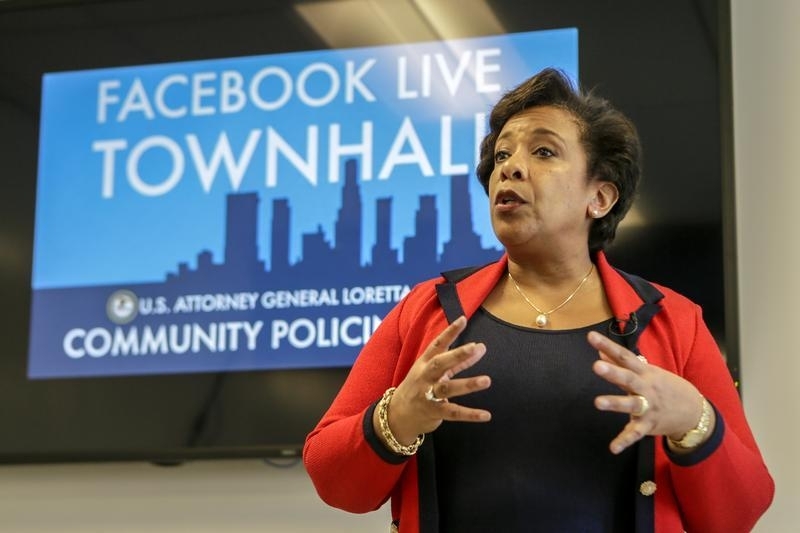 Decisions on whether to charge anyone in the case will be made by “career prosecutors and investigators who have been handling this matter since its inception” and reviewed by senior lawyers at the department and the FBI director, and Lynch will then accept whatever recommendation comes, the official said. Federal officials have already interviewed top Clinton aides including Cheryl Mills and Huma Abedin. They have not yet spoken with Clinton herself. It’s not known when the investigation will conclude. FBI Director James Comey has repeatedly said that there is no specific timeline for wrapping it up. The average American is average. The average American has shown that he/she can support & elect persons who are average and has shown that it supports a candidate who has behaved in ways that would have put the average American in prison. This Presidential "run" substantiates my concern about birth being sufficient basis to qualify one to vote.